Volleyball is one of my favorite game all time. Basically volleyball is a team supported game. It involves two teams and each team has six members in a group. Even this game is a part of Summer Olympic Games. Every volleyball player must have idea about court dimensions because it may helpful while playing a game. If you want to know volleyball Court size then take a look here i will share with you volleyball court measurements and types and volleyball size. Specially ball shape should be spherical and it will make with leather or synthetic leather, it have circumstance of 65-67 cm and the weight must be 260 to 280 grams and behind pressure will be 0.30 – 0.325 kg/cm 2. Here i will give you full information about volleyball court dimensions. The volleyball Court dimensions will be like 18 meters of 59 feet long and 9 meters of 29.5 feet wide. After that it has divided into 9 meters and 9 meters halves by a one meter that means 40 inch wide net. Even there is a difference between men’s competition and women’s competition. For men’s competition the top of the net will be 2.43 meters that means 8 feet zero inches. For women’s competition the top of the net will be 2.24 meters that means 7 feet four inches. Even it has varied for veterans and junior competitions. Basically it has build with three lines which are like central line, attack line and service line. The central line will be marked at the center of the court and it has divided into two equal parts. One of the parts has divided into 30 feet squares. The attack line will be marked as like 10 feet which is divided into each side of the center line of the court. This line has divided into two parts one is back row and other one is front row even we can call as like back court and front court. This line is parallel to the center line. The service line is built by 10 feet which is divided into the right sideline of each back line. The full court size of Volleyball is 18m (59 Ft) long and 9m wide. Which is divided into half’s of 9m*9m with a net of 1M*40 inch in the centre. Sand Volleyball court dimensions is almost similar to outdoor volleyball but there is a little difference of court dimension like 18 meters of 59 feet and 9 meters. This type of volleyball mostly happens in sand. The low layer areas level must be 8 inch that required special evolution. Before preparing sand court just once check the sand quality because it’s a very important thing and the sand depth must be around two feet and must be well high leveled. Grass volleyball court dimensions are very similar to outdoor court dimensions. the dimensions will be like 59 feet long and 29.6 feet wide. These measurements will taken by outside edge of the court boundary line. This type of volleyball game even call as like high court volleyball. 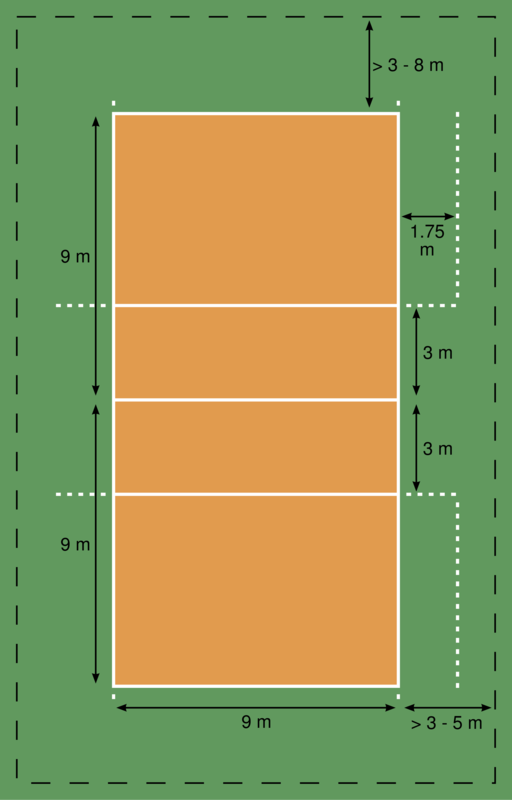 These dimensions are most useful for volleyball players and whom want to build new volley ball court. Now you do not think very difficult to find volleyball court dimensions. Even i have covered all types of volleyball court dimensions. 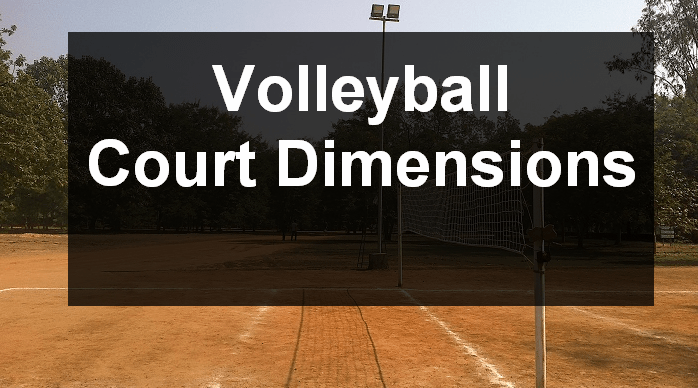 I hope may this article useful for you.Iif you have any doubts about dimensions and size of Volleyball court, just comment on below i will try to inform you.